You’ve heard, I’m sure, the expression “when it rains it pours,” by which usually we mean misfortune fast upon misfortune. But sometimes, too, it pours good fortune; in this instance, publication upon publication. Fast upon the June release of Passionate Nomads (see previous blog), in October both an excerpt from that novel and my translation of an autobiographical essay by its author appeared in print! 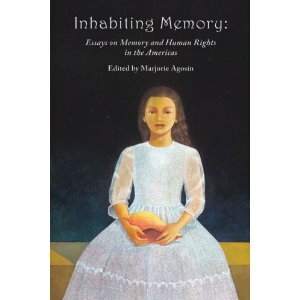 María Rosa Lojo’s “Minimal Autobiography of an ‘Exiled Daughter’” appears in Chilean exile, poet, and human rights champion Marjorie Agosín’s anthology Inhabiting Memory: Essays on Memory and Human Rights in the Americas, published by Wings Press of San Antonio, Texas. This project, initially set for publication three or four years ago, was delayed indefinitely by the ravages of the global economic downturn and the literary publishing industry’s consequent agonies. But the final product is well worth the wait, and not just for María Rosa’s essay. The contributions range, geographically, from the United States and its border with Mexico, to Guatemala and El Salvador, and to Chile and Argentina and Uruguay, during and after the “dirty wars” that killed and “disappeared” tens of thousands of those countries’ populations. The past month’s other publication, “The Gentleman of the Willow,” appears in the Fall 2011 issue of Rosebud: The Magazine for People Who Enjoy Good Writing, and is excerpted from Passionate Nomads, my translation of María Rosa’s 1994 novel La pasión de los nómades. This excerpt from her unique and charming historical fantasy contains the unlikely meeting of the water fairy Rosaura dos Carballos, emigrant from Spanish Galicia, and Lucio V. Mansilla, recent escapee from Paradise, 19th-century Argentine jack-of-all-trades and author of a book about his nation’s Ranquel Indians. For a different excerpt from the novel, see last month’s blog. 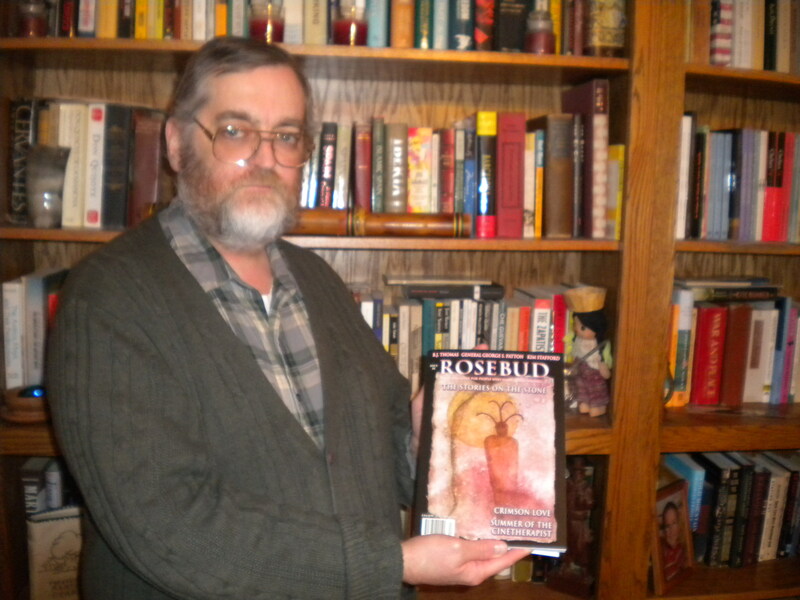 As for this new publication, let me briefly sing the praises of Rosebud, that distinctive little magazine that could, edited and co-founded by Rod Clark, jewel among literary magazines. Rosebud, no respecter of genres but publisher of lively stories, essays, and poetry from science fiction and fantasy to strictly literary works, all of it richly elegant and accessible, has published poetry from the likes of Ursula K. LeGuin, Stephen King, and in the present issue a rare piece by General George S. Patton; as well as prose by known entities like Ray Bradbury and a vast array of writers whose names are not well known but perhaps should be. The present issue contains, among its numerous worthy pieces, a second translation, by Thomas Feeny, of a comic story by Italian writer Alfredo Panzini; poetry editor and speculative fiction writer John E. Smelcer’s “The Girl Who Killed Custer”; and a deeply moving, melancholy story with a Spanish title by Margaret Benbow. It also contains Appendix I and Appendix II from Clark’s science fiction “micro-novel” Redshift: Greenstreem, originally published in 2000 and just re-issued by the Cambridge (WI) Book Review Press. (It is available from the publisher and from amazon.com.) The book is being touted as “a minor cult classic,” and having just purchased and read a copy I can see why. It has much to say about the present economic crisis (about which it is highly prescient) and about the need for something like the Occupy Wall Street movement that is currently sweeping the nation. Say what you will about the merits of these occupations, the need for concern that they highlight – over the wildly increasing gap between rich and poor both at home and abroad – seems hard to seriously question. Maybe, by some creative mix of rhetoric and protest, we can still save our children and grandchildren from the ill fate prophesied in Clark’s dystopian narrative.